The three times I visited the Yaqui Tribe territory (, in Mexico, have been experiences that have had a profound impact on my life’s perspective. The Yaqui tribe is an example of how a rich cultural heritage is a means for defending life. The first time I traveled to the Tribe’s territory, I was participating in a small naturist health team (Rancho el Misterio) that visited Loma de Bacum, located in the south of the Mexican state of Sonora. We were there to support and act in solidarity with their fight against the pipeline which had been illegally built on their land. We had been invited by Anabela Carlon, a lawyer, videographer and life defender whom we met in 2012 in Montpellier at the International Society for Ethnobotany Congress. It was at the congress where we promised one another we would one day collaborate on something significant – this was that moment! Anabela was one of the delegates of Loma de Bacum at the National Indigenous Congress in December 2016. This was when the indigenous peoples of Mexico endorsed an independent indigenous candidate for the presidency of the Republic, in order to make transparent the problems indigenous communities face today within the country. Months before, she also participated in the GEN NACELE Sonora 2016 and is a deeply committed world citizen. The team we were a part of provided health support to the Loma de Bacum citizens, which included diagnosis sessions and individual and collective treatments and consultations. Groups of women, men and children participated for three days, all day long. Women were the most active and committed to the health of their people, reflecting on non-nutritious products, especially processed food, which have been recently introduced to the communities by private and public agencies. They were also the most open to share their concerns and the current situations that endanger the lives both for their families and them as individuals. 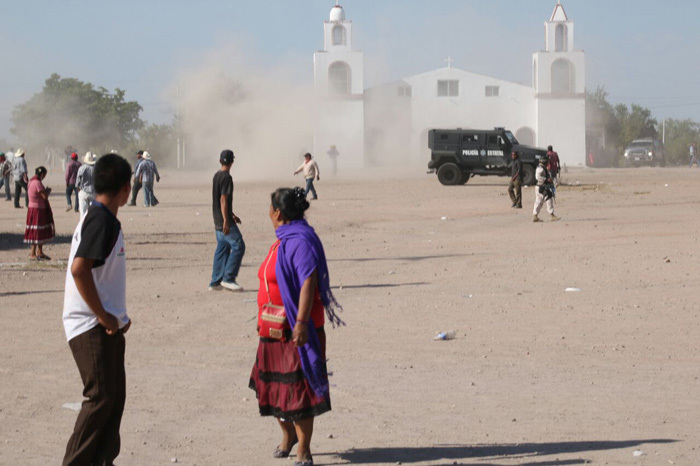 Yaqui men and women carry a lot of ancestral and present pain: a history of genocide and dispossession which weighs on the body, soul and land. I believe that the many stories of heroism, perseverance and struggle to survive as individuals and as a people encourages a sense of full-fledged pride as a collective, and as individuals. The tribe is alive and thriving with a collective land tenure and the need to defend itself. Today, the community of Loma de Bacum fights against a gas company, known by them as a gas serpent. When I say that they fight, I mean that literally: their traditional guard (selected youth), their troops (the entire population), and their authority (selected men) put themselves upon the frontline to prevent the machines from advancing into their ancestral territory. They also use their intelligence to confront and fight using legal means and some of their community members being political prisoners as a result. Fidencio Aldama, a community member, is currently imprisoned for a crime not committed during the community’s confrontation against gunmen in favour of the gas pipeline in October 2016 . Anabela and her partner were kidnapped, and then released a few weeks after. On a second occasion, I visited the Marabuta Filmadora in Vicam, a town in Sonora, located in the municipio of Guaymas and is one of the main settlements of the Yaqui. We were helping them finalise the details of their website and ensure the team was autonomous in content management. 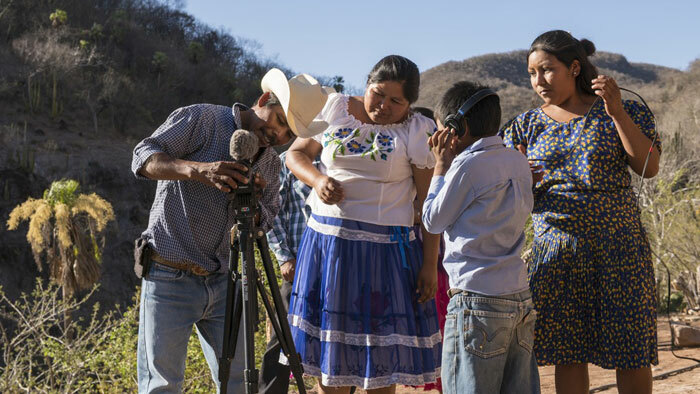 La Marabunta Filmadora is a collective of Yaqui, Seri and Raramuri videographers who are dedicated to documenting issues of interest to their people, and also to train other indigenous groups in the country. Examples of their work can be found here. They have received Insightshare training on several occasions, and TCF support to develop their activities. Thor Morales (GESA 2011), photographer and videographer (awarded for his nature videos) currently collaborates with Insightshare and accompanies the Marabunta Filmadora. Working with Anabela, Eusebia, Faviola, Valentina, and Samuel, the Marabunta Filmadora’s Yaqui team was a great opportunity to meet a very dynamic group of young women and men and were instrumental in helping me to understand their motivations and commitment to their culture and territory. The Yaqui language and traditions are alive, but some of them are lost as the next generation, the Yacqui children, are migrating and leaving the area. Others study away from the community for long periods of time and community groups are being broken up. 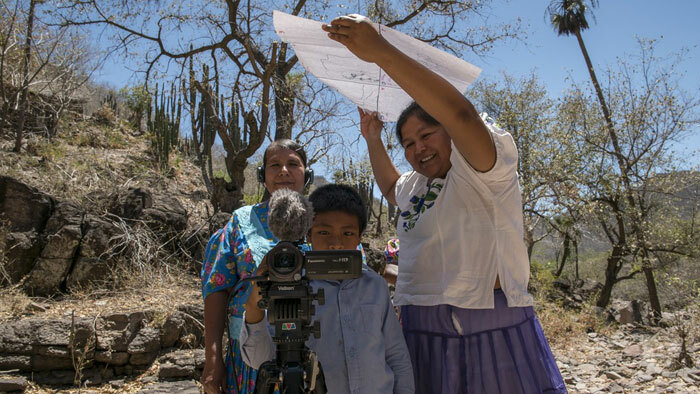 In their words, participatory video is an opportunity to rediscover the language and the worlds of the tribe, to speak with the elders, and to let the voices of grandmothers and grandparents have an audience. They organise video screenings in cultural festivals, which complement community celebrations and their respective struggles to maintain their land and cultural traditions. The third time I returned to the small nation was in early 2018, again invited by the Marabunta Filmadora. This time my role was to share in-depth a methodology of reality analysis and problem solving, which we had briefly shared in my second visit. OTSM-TRIZ or Theory of Powerful Thought (developed by G. Altshuller, N. Khomenko), is a theory which derives from a set of methodologies for inventiveness and problem solving. Originally developed to solve industrial problems, it evolved into a pedagogical proposal and as a methodology to analyse and solve daily life problems. I learned about Powerful Thinking thanks to the Rayenari Kooperativa: a cultural research and action collective from my home town, in northern Mexico. With this methodology we have analysed together with national indigenous actors, indigenous territories in Mexico and ways to defend them; as well as the ethnobotanical culture of corn in Tlaxcala and Queretaro. In GDF/Anima Mundi, we used OTSM-TRIZ for problem solving in community research in Oaxaca, and also for analysing cartographic information in Veracruz. Complemented by critical analysis methodologies (of P. Freire, R. Levins and R. Lewontin), it is, as the name implies, a very powerful methodology in the service of community science. I suggested that Marabunta Filmadora use Powerful Thinking to analyse topics of documentary interest and to enrich script creation; as a tool that could enrich the perspective on a topic, systematise team knowledge and ignorance about it, and bring about “generating questions”. After four days of intensive work the team a rich conceptual framework for a documentary script. Taking a spiritual ceremony of great relevance to the tribe as a topic of analysis, we had the opportunity to understand the event as a profound spiritual invocation, but also as a process of material and economic production, and an opportunity for Yaqui identity reproduction. The ceremony is an organisational effort that strengthens family ties and the tribe. 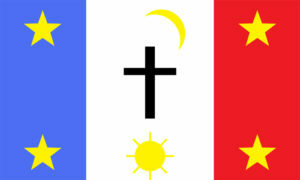 In sum a tradition which brings many worlds together. We travelled back in time, when material life was different, but the struggles were the same. We unravelled modern institutional policies that introduce new incentives distorting traditional meanings and ways of being . We saw faces with tears, happy, helpful girls, hardworking bodies, families gathering, satisfied hearts, and again, the living tribe in its splendor. I cannot wait to see the documentary this year. The subject is a surprise and has not yet been revealed and the Marabunta team has yet to ask permission from the elders. I really hope I can go back soon to the Yaqui Tribe’s territory in Sonora, Mexico and learn more from them.